Looking for a few ways to make your home more modern without starting from scratch? Or maybe you’re furnishing your first home and want to know what modern pieces to invest in. No matter where you are in your decorating life, there are ways to make your home lean modern without doing a complete redesign. Here are three ideas to get you started. 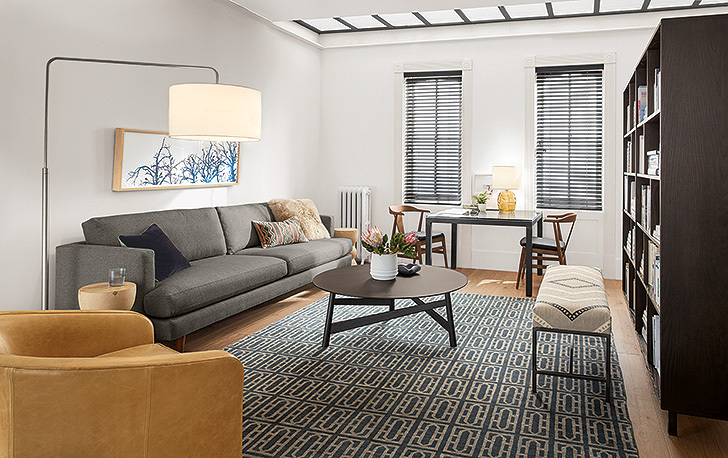 If you’re considering a new large furniture purchase like a sofa or dining table, buy a modern one and you’ll be well on your way to refreshing your look. Don’t worry too much about if it “works” with the rest of your furniture. One of the nice things about modern design is that its simplicity blends in easily with more traditional pieces. For example, a clean-lined sofa looks great with traditional accent chairs or more modern ones. A big reason why people love a modern look is the sense of calm and order it brings to your home. You can create that feeling by choosing solid colors instead of patterns. Thinking about a new rug? Buy one in a solid color with a great texture and you’ll instantly elevate the look of your room. Sometimes all it takes is a few well-placed accents to take your room in a completely different direction. 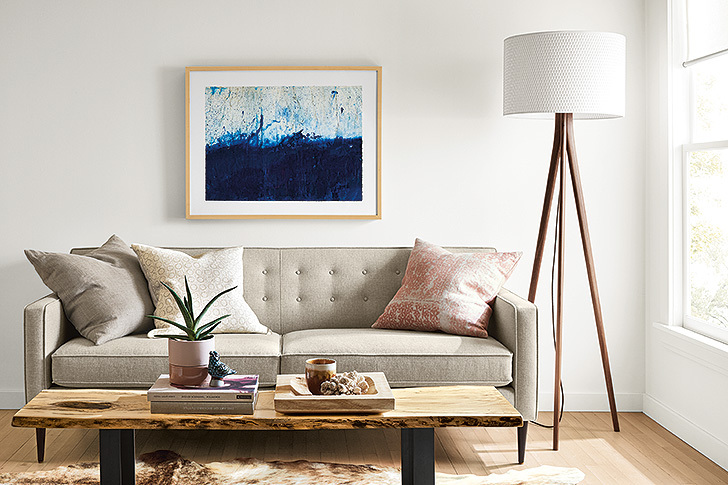 By adding a piece of modern wall art, a few graphic pillows or an updated planter you can start to shift the look of your room without making a big investment. Stay tuned for more posts in 2018 about easy swaps to make your home more modern!